Well, the 2017 Rock n Roll San Diego Marathon/Half Marathon race weekend is now in the books. 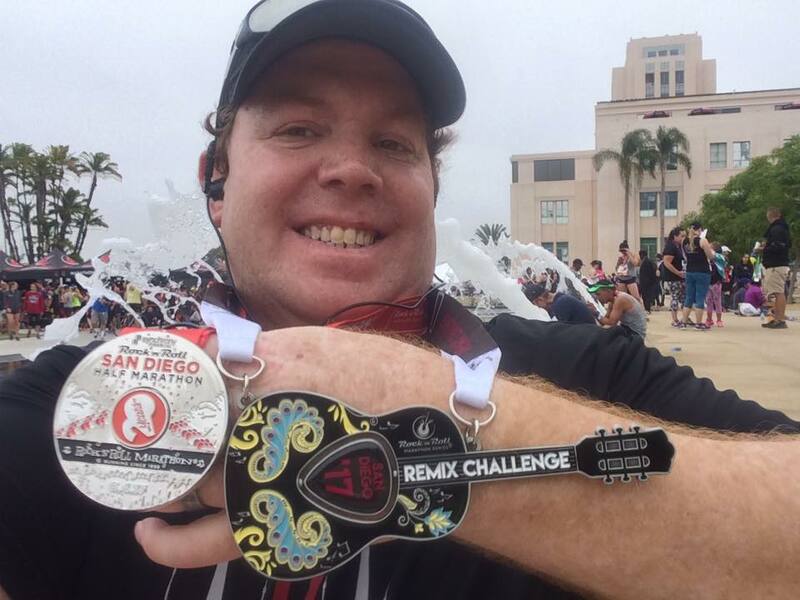 I finished half marathon number 18 and also finished the 5K to earn the Remix Challenge Medal. I mean, you might as well add the extra bling. Right? This post will cover my last week of training for this race weekend. I’ll get into the races specifically in other posts (hopefully this week). For now here’s how the week went down…. 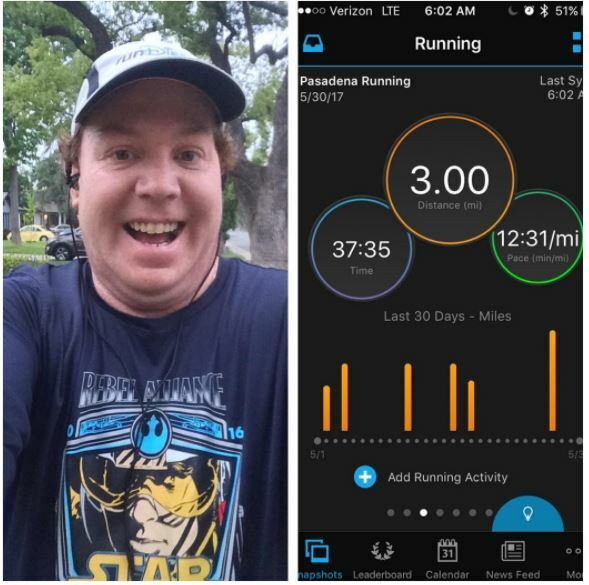 On Tuesday, I made it out before the sun again for 3 miles. I’m still fighting off this cold. So, 3 miles seemed like the right distance. I kept the intervals easy. Run 25 seconds, walk 45 seconds. That was the plan and I stuck with it until the last mile. As you can see by the splits, I did alter my run/walk in the last mile. I did so because I was feeling okay with it. Plus, I wasn’t happy with my time after 2 miles. So, I went with a run 30 seconds, walk 60 in the last mile. As I write this, I’m not sure if I started the new intervals right at 2 miles or if I waited until I was already in the 3rd mile to start the new intervals. I also finished this run with running for a full minute. My finish time wasn’t the best. But, I was okay with that. I decided to take Thursday off. There was simply too much that needed to be tended to before I left for San Diego. So, I hoped missing this day wouldn’t be a big deal. 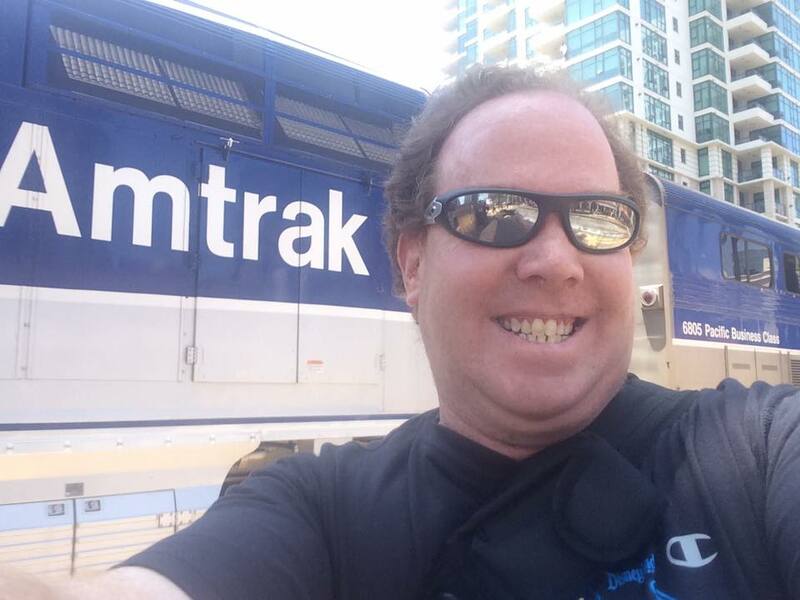 On Friday, I boarded an Amtrak train for the first time in my life to head down to San Diego. Whenever I end up racing in San Diego again, this is the way to travel to the race. I loved every moment of the journey. Even though the Wifi didn’t work that great, I was still able to watch Captain America: Civil War and enjoyed the views out the window. All of that without having to worry about traffic! I arrived in San Diego shortly after 1pm. My hotel was super close to the train station. As luck would have it, I even got my room early! Score! That allowed me to head to the Expo without any baggage. 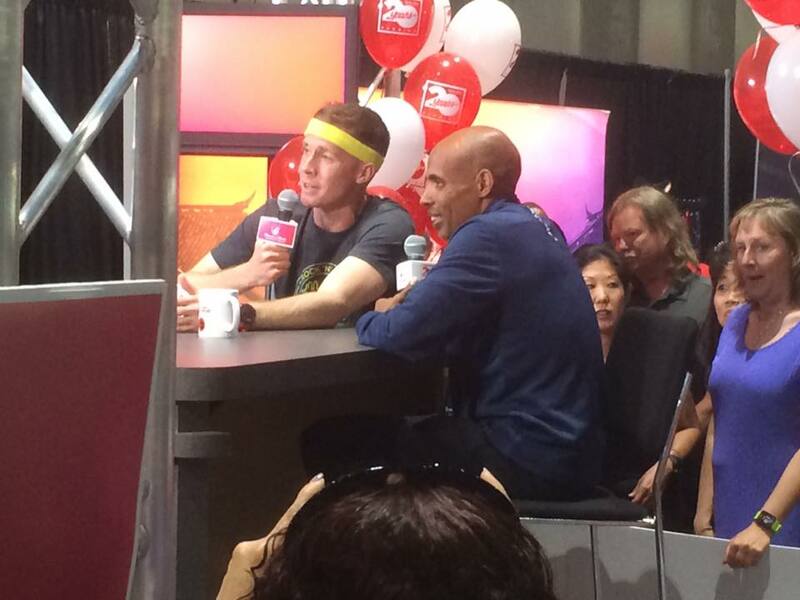 As I roamed the expo floors, I saw Meb being interviewed! After the interview, he posed for pics and signed autographs with us runners. 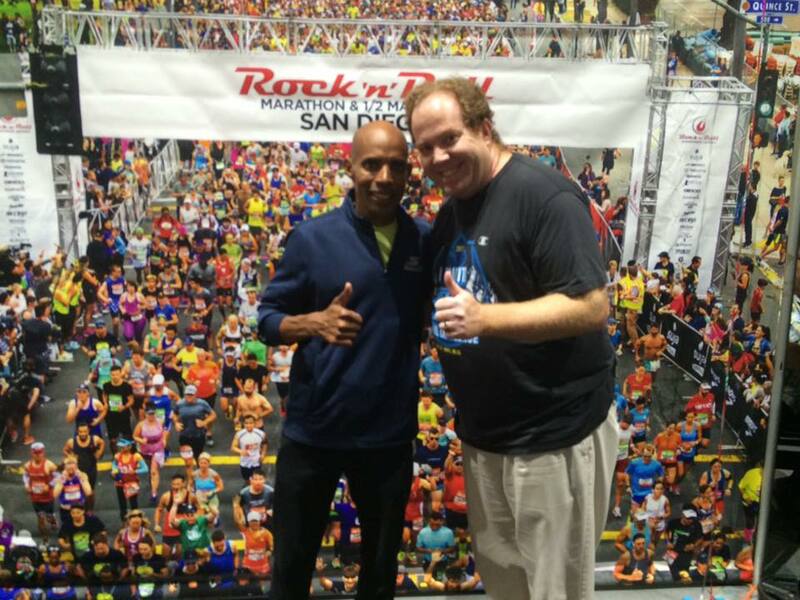 Two years ago, I had a plan to see Meb. This year, I just lucked out! I’ll write more about the Expo in a later post. I must admit that I was a little disappointed with the Expo this year vs. 2 years ago. It didn’t seem like it was as big of an expo. The merchandise left a lot to be desired. 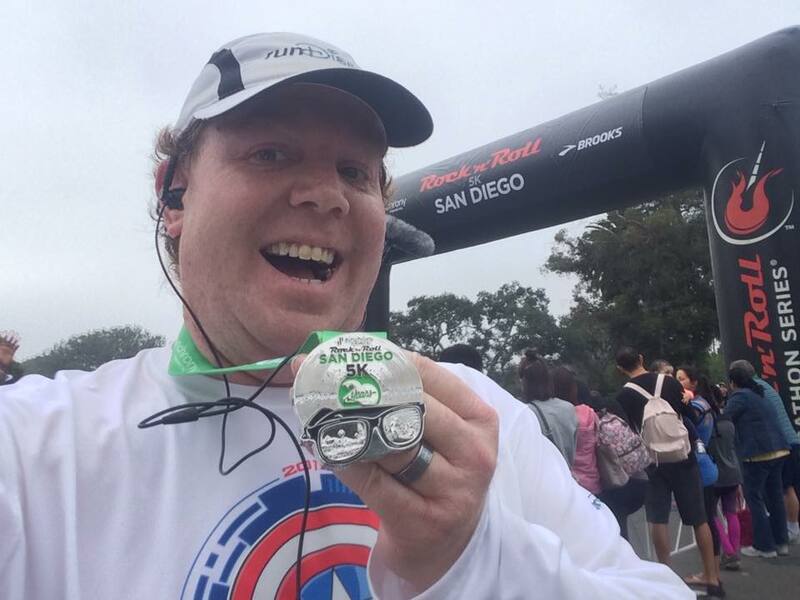 You would have thought they would have had some amazing shirts for the 20th Anniversary of the Rock n Roll San Diego Marathon/Half Marathon. Nope. Most was uninspiring. Another disappointment was that the runDisney booth did NOT have any of the medals for the 2017 Disneyland Half Marathon on display. 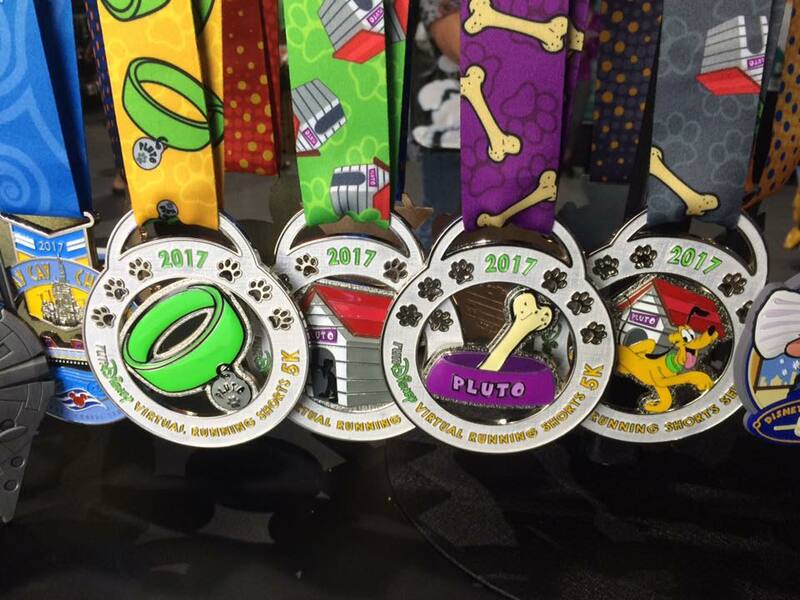 They did have the medals for the 2017 Virtual 5K series. They look cool. However, after seeing them in person, I’m going to pass this year. Plus, I’m not a huge Pluto fan. If I were, I might have different thoughts. After the Expo, I headed back to the hotel to put away my race gear. Then, it was time to head to Petco Park to take in the San Diego Padres vs. Colorado Rockies baseball game with my brother. 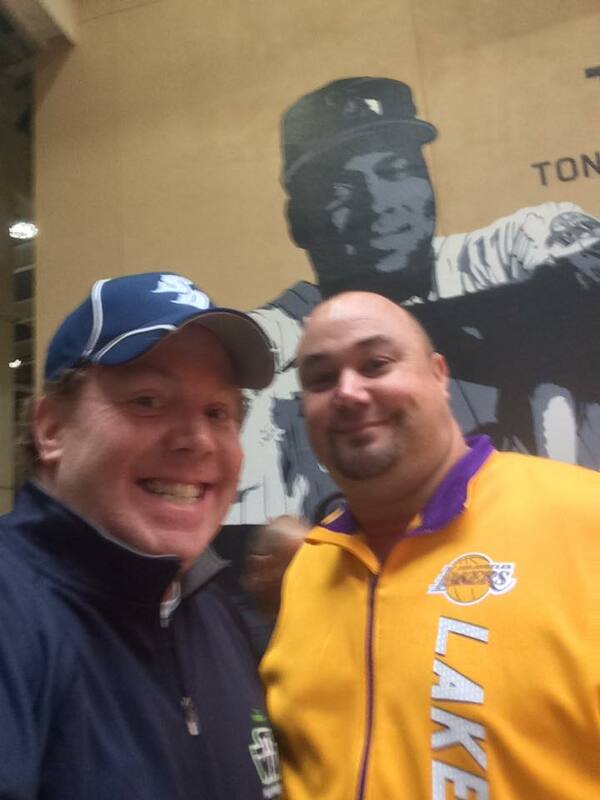 The Steve Garvey fan in my couldn’t resist a pic with the number in his honor. My bro and I had a blast at the game! The Padres even won! We only stayed until the middle of the 8th inning. 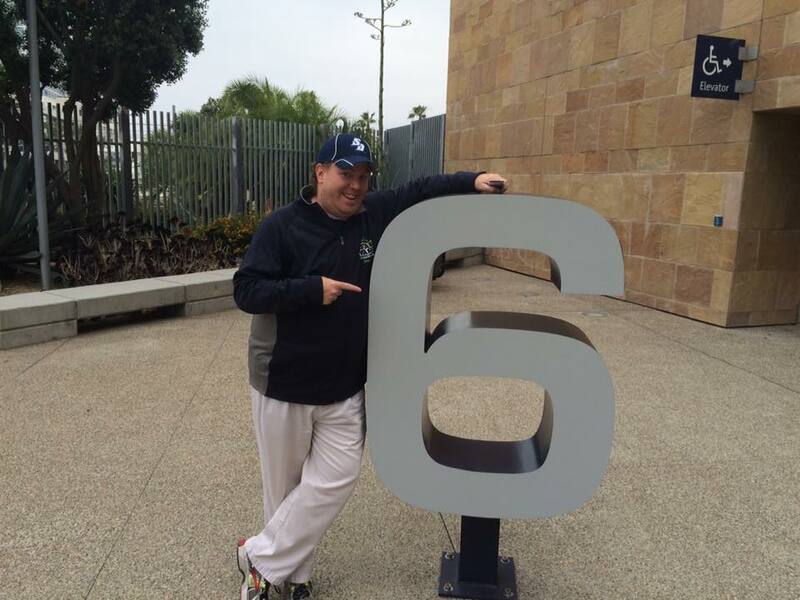 By then, the Padres looked like they were going to win and I had a 5K in the morning. Such a fun first day in San Diego! 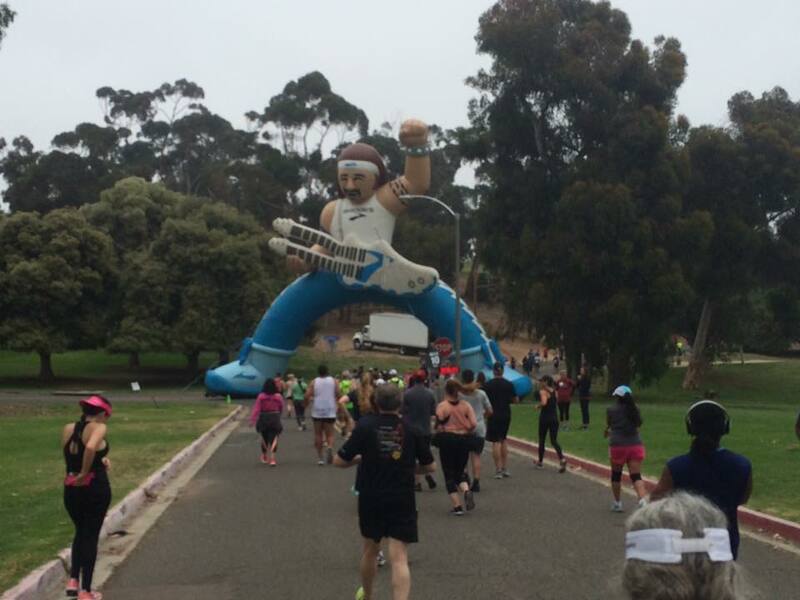 Saturday, I was up at 5am to head up to Balboa Park for the running of the Rock n Roll San Diego 5K, Since I entered this race under-trained, I decided to make this another training run. The goal at the beginning was to run 25-30 seconds, walk 90 – 95 seconds. Well, I altered that in the race. I started off by running the first minute and walking the next minute. With how crowded it was at the start, this worked out really well. 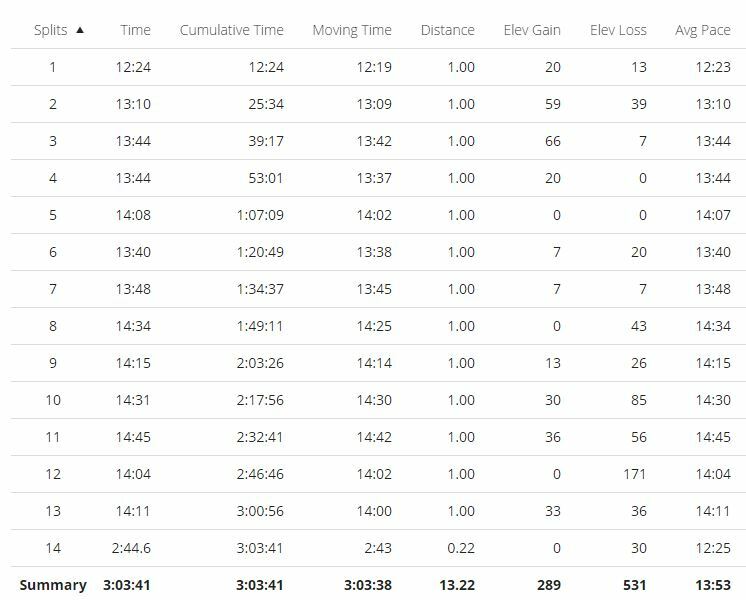 I mean, I was running slower than normal in that first minute because I couldn’t run too much faster. After that, I settled into the 30/90 intervals. Here are the splits for the race. I’ll talk more about this race in a proper post. However, since I felt good about this race as it kept with my recent 3 mile runs. So, I finished right about where I should have! Sunday was the big day. Or at least, it should have been. If my training hadn’t fallen apart, I wonder how it would have turned out. Truth be told, there are several ways of looking at the race. I did keep my run 25 – 30 second/walk 90 – 95 seconds intervals throughout the race! I did miss 2 run intervals, though. One was due to poor road conditions (the run interval I finished on this stretch lead to me almost twisting my ankle). The second came on the hill past where this picture was taken. I’ve never had another half marathon where I kept the run/walk intervals going as consistently as I did in this race! To top it all off, here are the splits for the race. 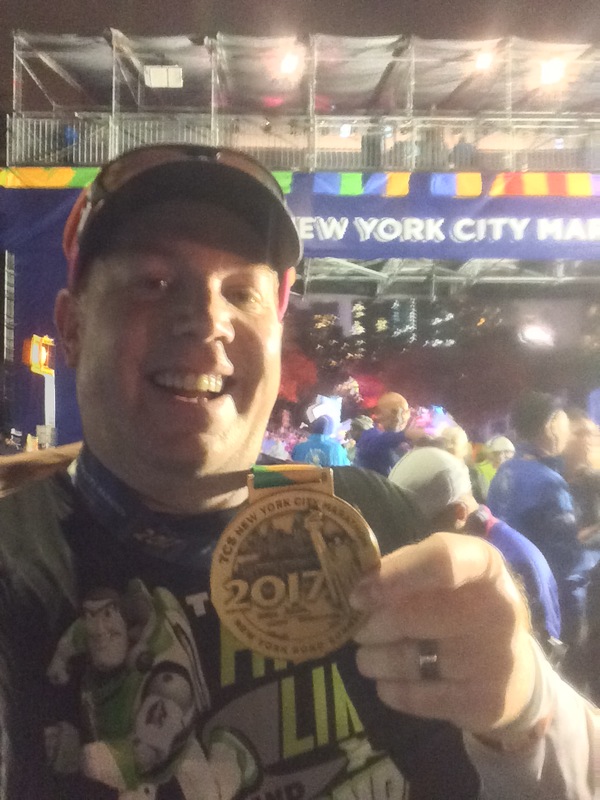 This was my fastest half marathon as a running dad. Now, I haven’t run in a lot of them. However, this is the fastest one! That’s the positive way of looking at this race. However, if my training hadn’t fallen apart these last 2 months, I can only wonder how much better this race could have been. 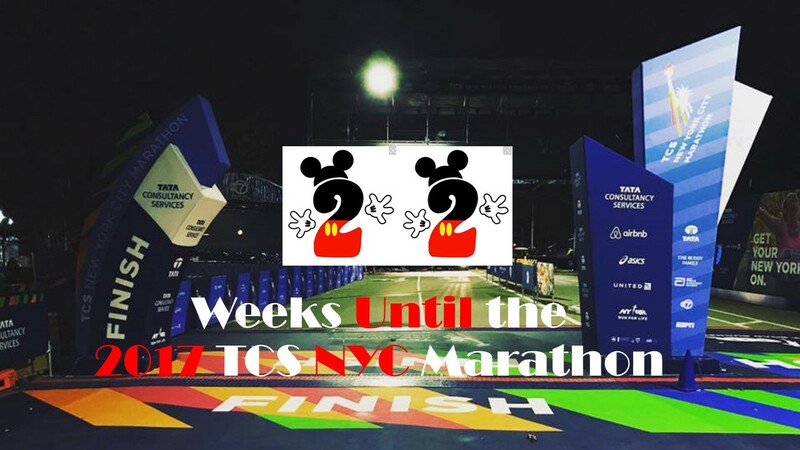 And with the completion of the 2017 Rock n Roll San Diego Half Marathon, the countdown is officially on for the 2017 TCS NYC Marathon! I have 22 weeks to get better. I will spend this week recapping the fun I had in San Diego. But, my training is now all about the NYC Marathon. Let’s do this!